Easter Island. Stonehenge. The continued employment of Ernie Grunfeld. These are a few of the mysteries that have baffled researchers through the years. That Grunfeld has been able to remain at the Wizards helm despite the team compiling the league’s third worst winning percentage during his tenure — well, that’s been a real puzzler. But, you won’t need to trouble your thoughts any longer: I have solved the riddle. Through careful application of logic, reason, Basketball Reference and Microsoft Excel, I have compiled definitive proof showing why team owner Ted Leonsis has kept Grunfeld on the job. The reason is shocking in its simplicity, and it shows how misguided and unreasonable you Leonsis/Grunfeld detractors have been. Since 1973-74, the Washington Wizards/Bullets have had five GMs (top executives): Bob Ferry, John Nash, Wes Unseld, Michael Jordan and Grunfeld. Take a look at the table below, and you’ll see that the Grunfeld-built Wizards have compiled a .395 winning percentage — third best for a Wizards/Bullets in the past 31 years. And this season’s team is above average for a Washington team — hovering near the lofty heights of a .500 record. 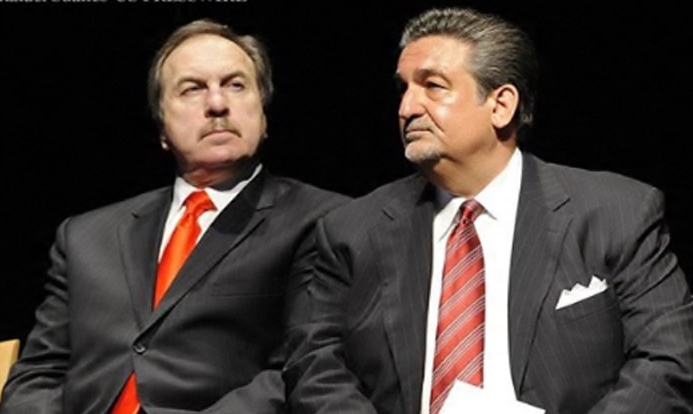 Ernie Grunfeld — one of the three best Wizards/Bullets general managers in the past three decades. You don’t just go out and fire a top three GM. We all owe Grunfeld and Leonsis a BIG apology.